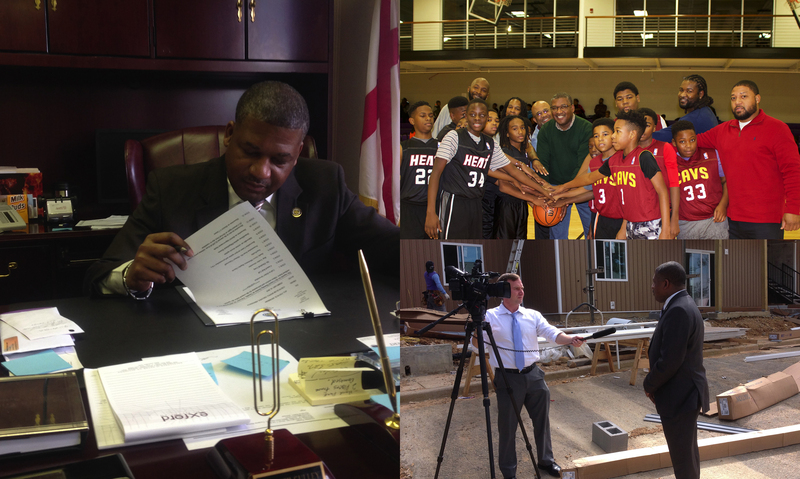 Kenneth E. Gulley is serving in his third term as Mayor of Bessemer. Gulley was re-elected in August 2014 and August 2018. The three-term mayor has set about on an agenda to make the city of Bessemer a force in the state economically and a place its residents can be proud to call home. Improved city finances by taking the city from millions in debt to a budget surplus. Established a business-friendly administration, which has resulted in the recruitment of more business and industry to Bessemer. About 3,500 jobs have been created in the city during his administration. Improved the staffing levels and technology at the Bessemer Police Department to combat crime, resulting in a dramatic drop in the city’s overall crime rate over the past six years. Created a unified working relationship between the Mayor and the Council. Created transparency in city government. Secured funding to build a new city Recreation Center and a new City Hall. Purchased new equipment to replace worn equipment across all city departments. Invested in the city’s parks and recreation amenities, including the city’s first-ever “Rail-Trail. Secured funding to improve the city’s aging infrastructure. His administration has also worked feverishly to make sure city employees are compensated among the best in Jefferson County. Gulley is married to the former Yvonne Whitely. The couple has two children.